Hello! 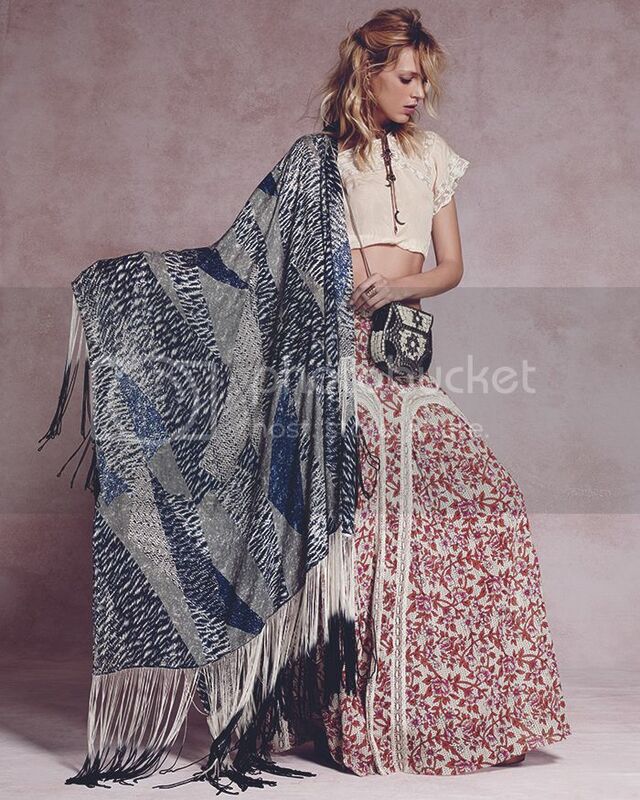 Today, I wanted to share Free People's latest lookbook with you guys. This is their January 2015 lookbook showcasing their newest resort wear and top model, Anja Rubik. The collection is absolutely irresistible and I'm drooling over every piece in it. The collection employs a variety of neutral colors such as pale cream, navy blue and army green. The use of these soft colors works to emit a relaxed, carefree feeling. There is a mix of both solid colored pieces and printed pieces in the line. The prints as well as other characteristics of the collection (including the shapes/styles of certain pieces and the inclusion of fringe) have a distinct South Western influence. Breezy, oversize pieces dominate the line and are great for layering and mixing and matching. The accessories and shoes in this collection also really caught my eye. I'm swooning over the selection of bold flatform sandals and rugged, vintage inspired boots. Simple necklaces complete many of the looks and I love the way that they accentuate the bohemian feeling of the looks. So so inspiring ... Love Free People so much !! !